I always like these get-to-know you sort of blog hops, and Amanda of The $900 Facebook Pony has some good ones in here! My parents had horses before they had me; they signed me up for riding lessons when I was about four, so horses have always been part of my life. I tried out other sports and activities, like dance, gymnastics, soccer, and swimming, but I always liked riding better. These days, my desire to take up a new sport is right around zero! 2. What was your riding “career” like as a kid? I definitely peaked in middle school. My youth riding career was busy, but completely unremarkable. I started showing in hunt seat classes at local Bridle & Saddle Club and 4-H shows when I was 7 or 8. 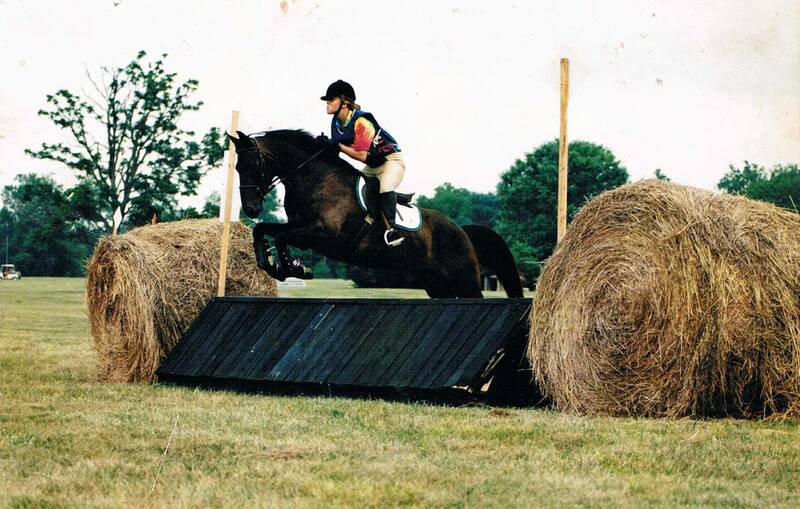 I joined Pony Club when I was 11 and happily switched to eventing. A string of unsuitable horses kept me at Beginner Novice for years; when I acquired Moe, I was able to finally move up the levels a little. In college, I rode in the hunter division on my school’s NCEA equestrian team. I wouldn’t even have to go back very far- I’d buy Carson! 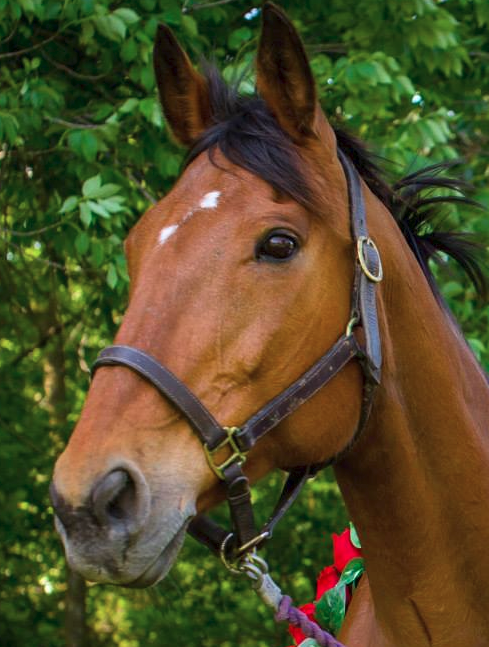 Carson was a young Thoroughbred gelding who belonged to a friend; she’d gotten him as part of a package deal with another Thoroughbred gelding. She preferred the other horse, and I spent a couple of months riding Carson and starting him over fences. He was an easygoing, pleasant horse who liked to jump. My friend’s other horse died after a nasty bout of colic, and she sold Carson afterwards. 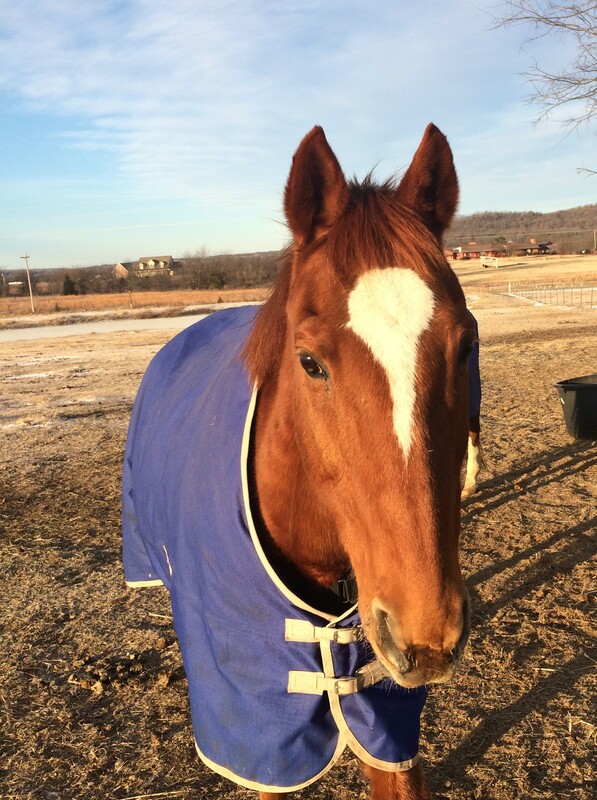 I couldn’t afford a third horse at the time, and he ended up going to a teenager at a hunter/jumper barn. She loves him very much and has had some success in the jumper ring with him, so even though I don’t have him, I don’t worry about where he landed! Learning to play in the arena. 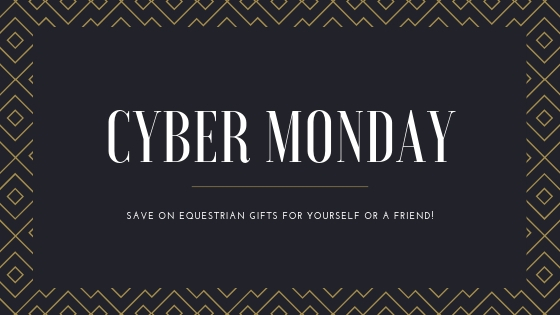 Eventing, hunters, dressage, foxhunting, and polo. 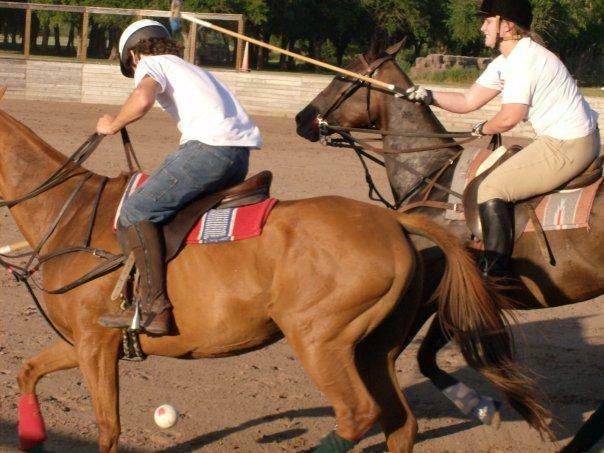 I’d love to go back to polo some day! I think I could also get on board with cutting. Going to the horse auction used to be a regular event for my family. There were two different weekly auctions in the area where I grew up, and my family went often, and bought several horses from them over the years. My horse Buster came from one! Arabians, I think. They’re so majestic and cool! This is a tough question! I think I’d really love to live and ride in Ireland- I’d foxhunt, breed lovely horses, and not have to learn a completely new language! I wish I’d appreciated dressage sooner! I hated it as a kid, so I didn’t practice it much. That led to middling-to-awful scores at shows, and while going double clear in the jumping phases would usually move me up the ranks, starting from somewhere above last place would have led to better overall results. I think I’d really like to ride with Jim Koford. He seems like an encouraging and thoughtful trainer, and he has experience with unconventional horses. Yes, definitely! Horses are good for my mental health, and I like spending time with them out of the saddle. I’m not sure any more. It used to be to ride at Rolex (now Land Rover Kentucky), but I don’t know if that’s my ultimate goal these days. Maybe it’s worth examining! They’ve all taught me so much, and I have a definite recency bias. 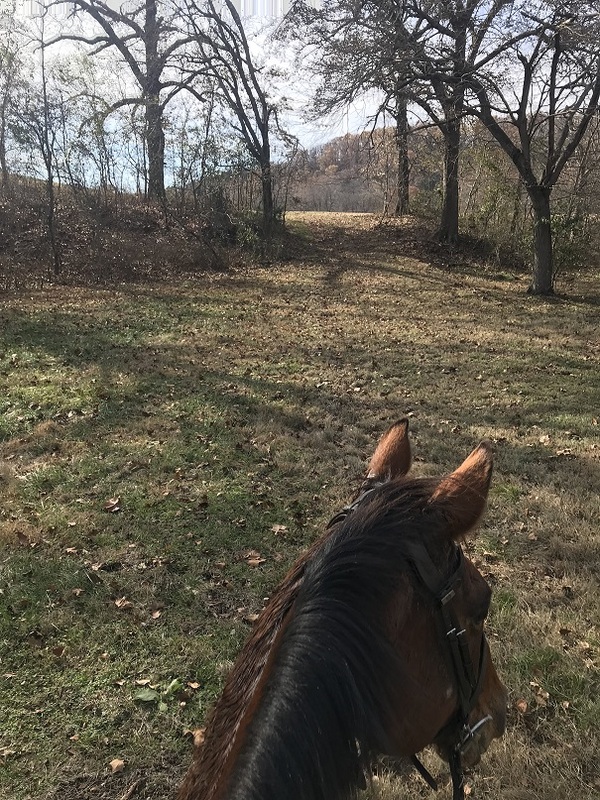 I feel like Gina’s taught me a whole lot: she taught me about dressage, about hunting, and about how joyful riding can be when horse and human are both having fun. I have a pretty good horse/riding situation- my horses live at my house, which is situated next to a dressage trainer with an indoor and outdoor area. I’d love to acquire the pasture directly behind my house- it’s about 10 acres that my neighbors are currently using to graze cattle. It would be pretty cool to compete down in the big arena at the Global Dressage Festival in Wellington! Not really- even when I was unemployed and felt incredibly guilty not contributing to the horses’ board, I never thought about getting rid of them. I just kept trying to find a job! There are lots of things about the horse industry that need change, but I’d love to start with all horse owners and rider receiving basic education in horse care. You know, stuff like “don’t feed your horse bread instead of grain” and “please castrate your colts”. Buying Gina! I didn’t really need to buy another horse, and I probably didn’t need to pay as much for her as I did, and she wasn’t a great fit for what I wanted to do, but Gina’s turned out pretty well. Crippling injuries that take away my ability to care for the horses. True Horsemanship Through Feel by Bill Dorrance and Leslie Desmond. I read it earlier this year, and it really helped me see the horses through a different lens. 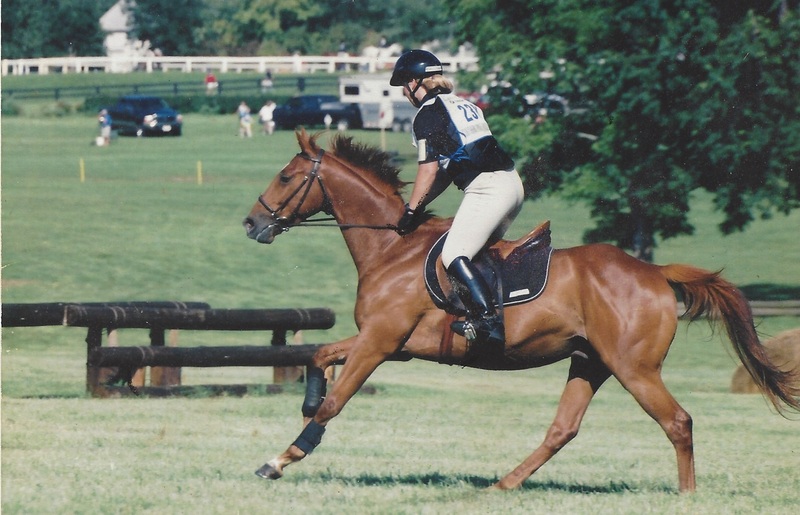 I love the excitement of eventing, the continual journey of dressage, and the social, community aspect of foxhunting! My fitness. I need to be fitter so I can improve my riding and make my horses’ lives easier!